Now that we live in Tennessee I feel licensed to use the occasional “Y’all”! 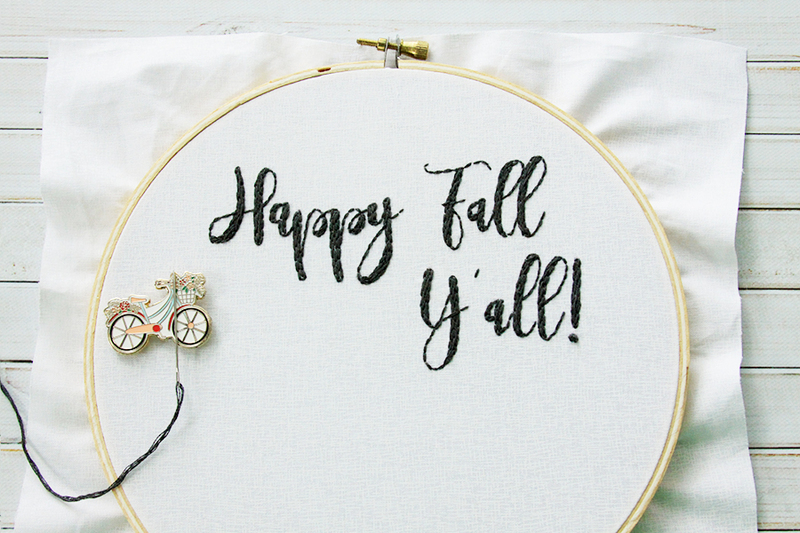 And since I do, I think it’s the perfect way to dress up this cute hoop! 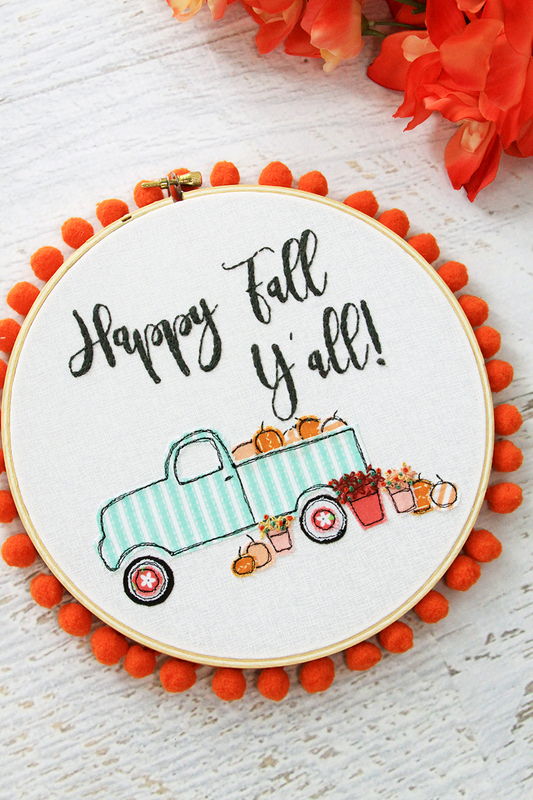 Because what says fall in the south more than a vintage truck full of pumpkins and decorated with mums?! 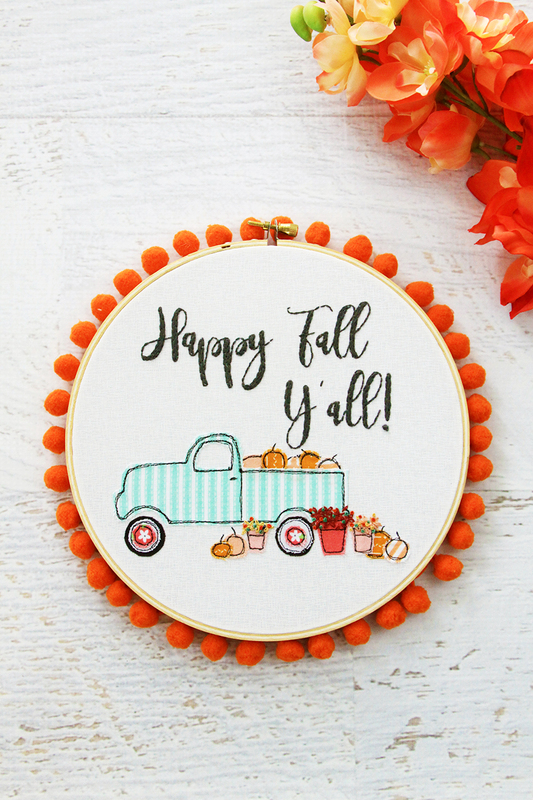 This Happy Fall Pumpkin Truck Embroidery Hoop Art is fun to stitch up and makes the perfect decoration for Fall! This is a great pattern to leave in a hoop, or you could make up a pillow or a mini quilt! It’s a mix of machine free motion stitching and hand embroidery but you could definitely make it with only embroidery, or all on the machine if you applique little flowers in the pots. Here’s what you’ll need to make your own! 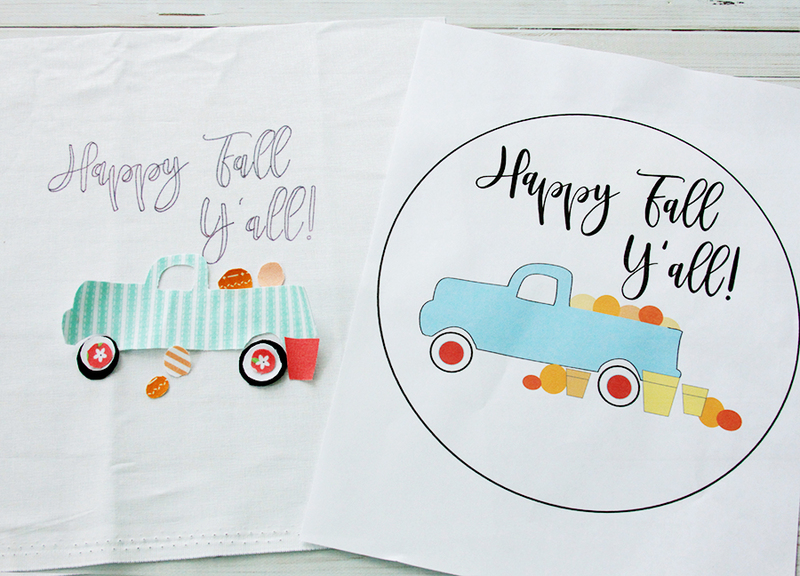 Assorted small amounts of fabrics for truck, tires, pumpkins and planters. 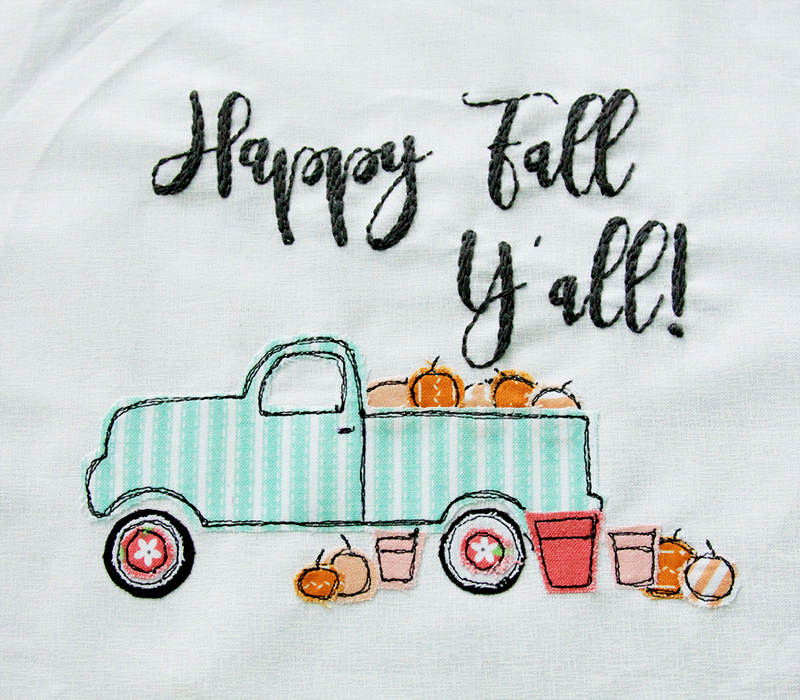 Iron the fusible HeatnBond to the wrong side of the fabrics for the truck, pumpkins and planters. Cut out the designs using the pattern. Transfer the lettering design to the background fabric with a marking pen. Remove the fabric from the hoop and iron the applique fabric pieces in place. It helps to put the pattern layout behind the fabric so you can easily see the placement. Put a free motion foot on your machine and if you can, drop the feed dogs. If you can’t drop them, you can still do the stitching. Outline all the shapes with two or three passes of stitching. 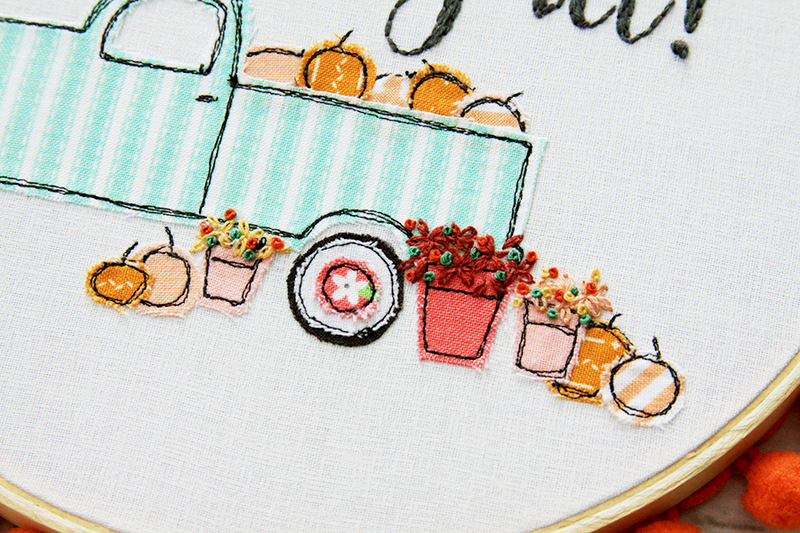 While you are stitching the pumpkins, add stems to a few of them. 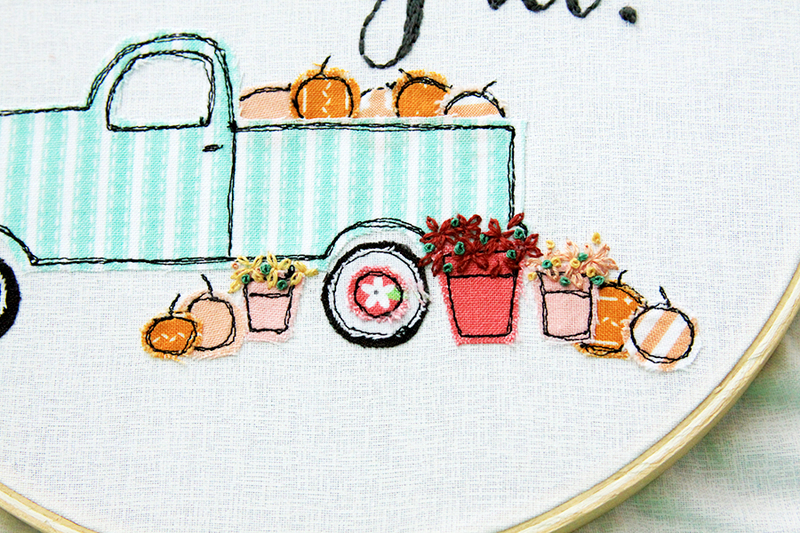 Put your fabric back in the hoop and embroidery the little mums in the planters. Use a combination of lazy daisy stitches and french knots to create the flowers in burgundy, yellow and orange. Scatter in some green french knots for leaves. Trim the fabric on the back side and finish the hoop. Glue the pom pom trim around the back edge of the hoop. 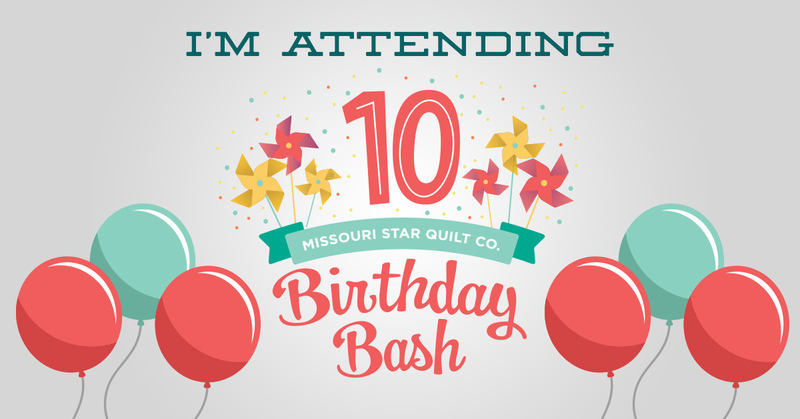 This week I’ll be attending the Missouri Star Quilt Co Birthday Bash! They’re having a big celebration with parties, activities, demos and even fireworks. 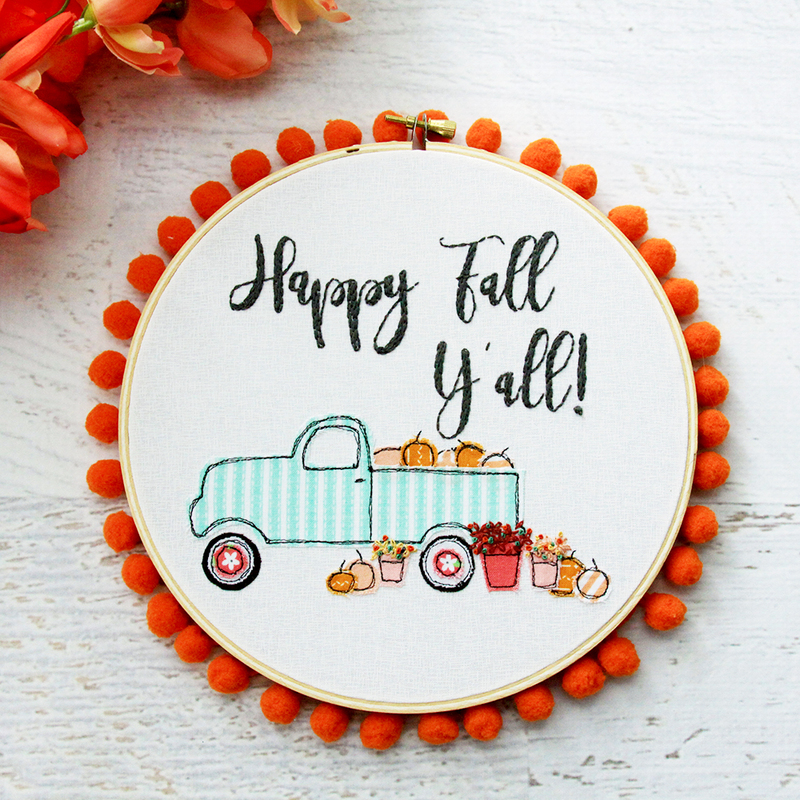 I’ll be demoing this cute hoop while I’m there! Too Cute! Looking forward to making! I like your choice of fabrics. I also like the mix of fabrics with embroidery. Nice. Adorable as always Bev! thanks for sharing on craft schooling Sunday! 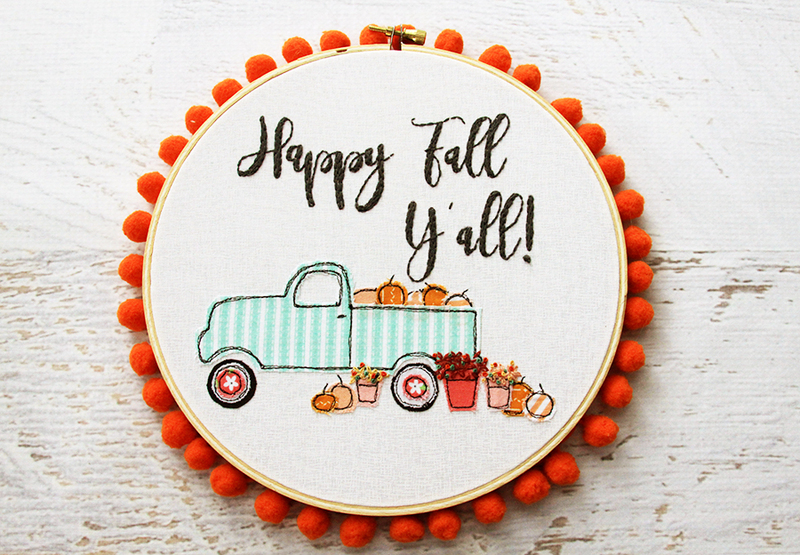 I love the trucks filled with seasonal things! So very cute!! Thanks for sharing with SYC. I just love this! I hope you also do one for Christmas with a red truck!